New Testing Available - Find out More! 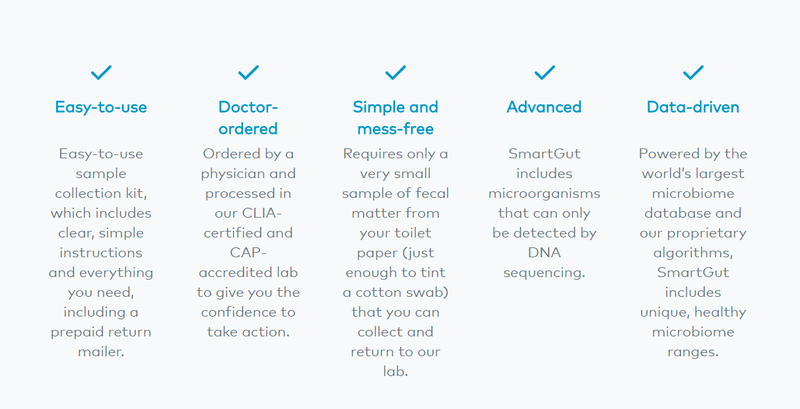 We are proud to now be offering the Ubiome SmartGut test which may be covered by your insurance or very affordable with prompt payment without insurance. Test kits can be ordered on the internet and conveniently shippied to your address for discreet sampling. Unlock the secrets in your 39 trillion bacteria in your gut that give you vital information about your health. Find out how to improve your health through your gut from specific gut data. Take this test and find out what is in your gut and how your gut flora affects your general health. This is available in all 50 states. The Ubiome test is the world's first sequencing based clinical microbiome test. The test detects beneficial and pathogenic microorganisms associated with specific infections and gut conditions including: Inflammatory Bowel Disease (IBD), irritable bowel syndrome (IBS), Ulcerative Colitis and Crohn’s Disease, obesity and diabetes. With SmartGut, we can gain valuable insights to better understand what’s going on inside your gut and take steps for you to feel better. Using precision sequencing technology, SmartGut identifies microbes in your gut that might be affecting your health. You’ll receive a detailed report with information on microorganisms associated with lifestyle choices, specific infections and gut conditions. You and your doctor can use this report to gain valuable insights into your gut health that might help to determine a diagnosis. The SmartGut microbiome diversity score indicates how your microbiome compares to healthy participants from the world’s largest microbiome research data set. To learn more visit: https://ubiome.com/ If you are interested in finding out about your microbiome give us a call! Take the test and I'll approve your requisition today. Test kits are conveniently shipped to your home. Check out Smart Jane test kits and Explorer test kits. Your Health starts in your gut!